Milk Glass Collection on Display and Out of the Way! 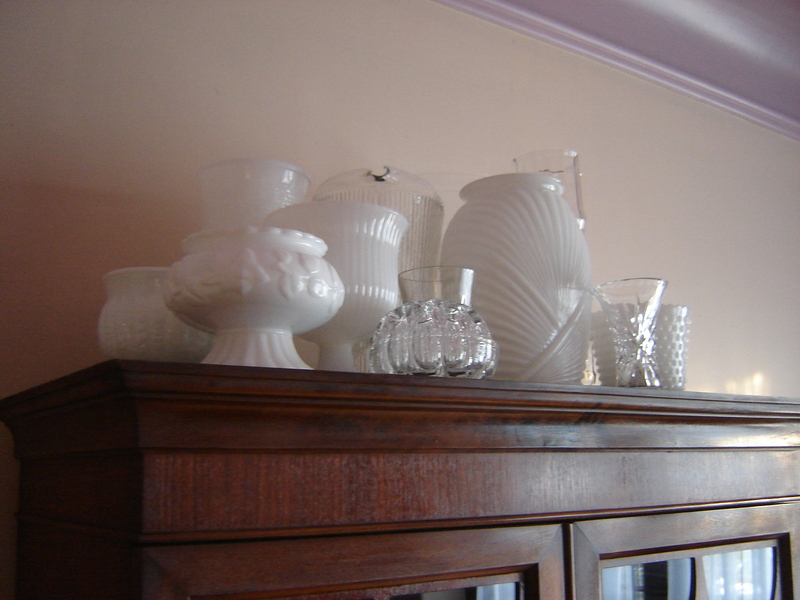 There are always places that beloved collections can be displayed in full view but tucked away, like this milk glass collection placed on top of the china cabinet in the dining room. I have seen pictures of collections on coffee tables in magazines but this is impractical when entertaining.